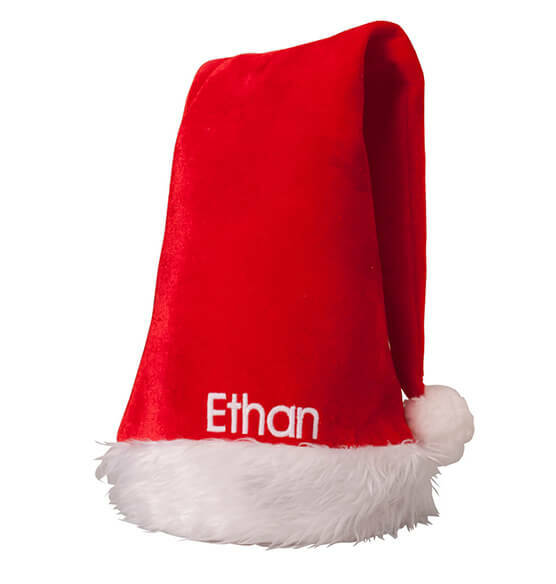 This personalized Santa hat will be specially made for one of St. Nick's favorite friends! 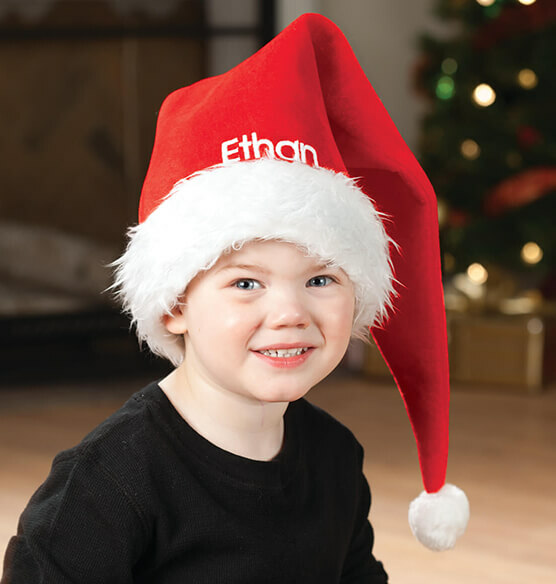 Destined for merry memories, precious photos and Grandma's social media posts, the soft red hat is a holiday classic, complete with fuzzy white trim and soft pom-pom. We'll add your favorite "elf's" name for a custom treasure. Specify name; limit 1 line, 10 letters/spaces. Christmas hat measures 25 1/2" long x 11" wide; fits heads up to 23" circumference. 100% polyester; spot clean. Imported.